Vacation Bible School at Immanuel Southern Baptist Church will be June 20-24 starting at 6:00 pm until 8:30 pm daily. We’ll have a VBS Family Celebration on Sunday, June 26 at 6 pm. Online enrollment will begin Sunday, May 1. Check back often for updates. We had 92 children registered with an average attendance of 57. We inadvertently scheduled VBS at the same time as a major city event. We’ll make different arrangements in 2016. We had 13 children express faith in Jesus Christ as their savior! We had 45 different volunteers over the week. We rejoice for the Lord using us to build His Kingdom! 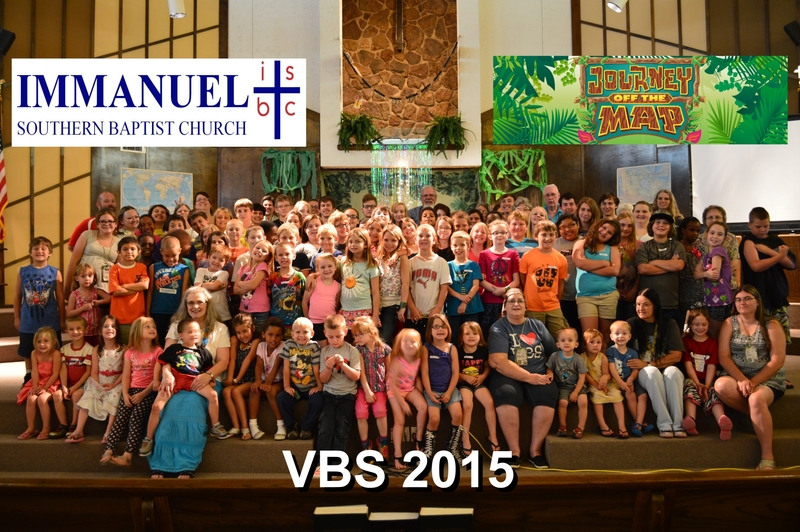 2015 VBS Online Registration is LIVE! You may register your child online for Vacation Bible School at ISBC! Just click on THIS LINK or on the picture in the top right of this webpage to go to the Internet registration form. You will need to complete one for each child registered. 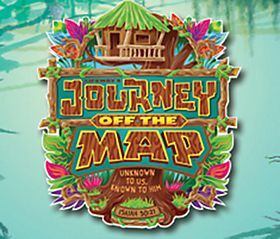 VBS will be June 1-5 from 6:00 – 8:30 pm. We’ll have a family celebration on Sunday, June 7 at 6 pm. Vacation Bible School at Immanuel Southern Baptist Church will be held June 1-5 from 6 pm to 8:30 pm with a Family Celebration to be Sunday June 7 at 6 pm. VBS is for children who have completed K-4 thru 6th grade. We will open online registration in May. We are pleased to announce that both Dean Haley and John Couch have been called by unanimous vote to serve as our Minister of Children and Minister of Youth, respectively. In a Special Called Business Meeting in the evening of October 26, the church recognized God’s call in both men and approved them by unanimous vote. May God bless both of them, their families, and their ministries!